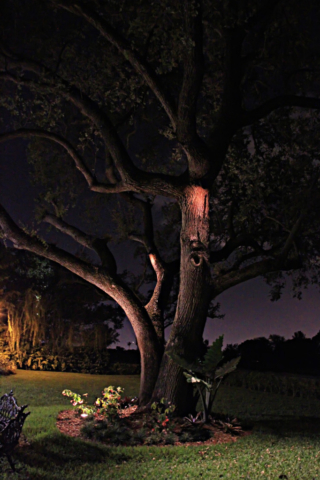 Landscape lighting design and installation in an aspect that few consider. 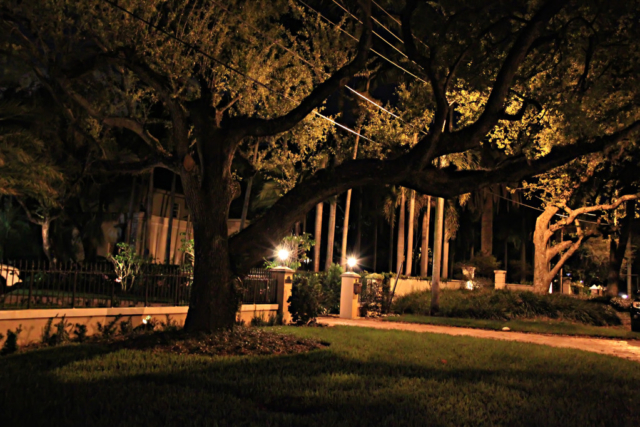 However, landscape lighting designs can cultivate a dramatic difference in your home or business’ overall appearance. When you invest such an exorbitant amount of time and effort into your outdoor area, why wouldn’t you want to appreciate your handiwork day and night? An outdoor lighting installation will highlight your property’s most prominent features while enabling you to fully enjoy the area. Your landscape enjoys admiration, as well as appreciation as a work of art. Nevertheless, without a highly recommended landscape lighting installation, your beautiful, elegant lawn disappears as the sun goes down. 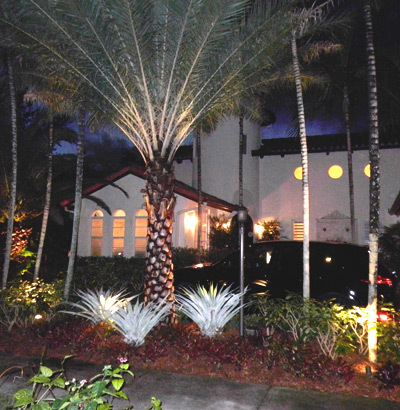 Landscaping by Steve Blaum provides the best lighting services anywhere in South Florida. Do you require a team of seasoned experts that can help you with a high-quality lighting project? 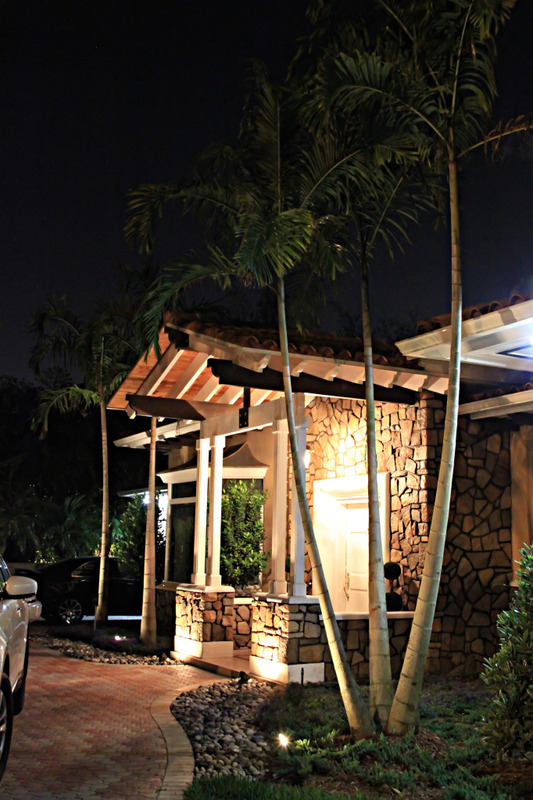 Look no further for the highest quality installer of outdoor lighting in Miami! Our company is a dedicated team of experts that can provide you with the quality and professionalism your landscape deserves. From cultivating a customized landscape lighting design that enhances your home and property to extending the amount of time you can spend in your outdoor living spaces, Landscaping by Steve Blaum will offer you beauty as well as functionality. 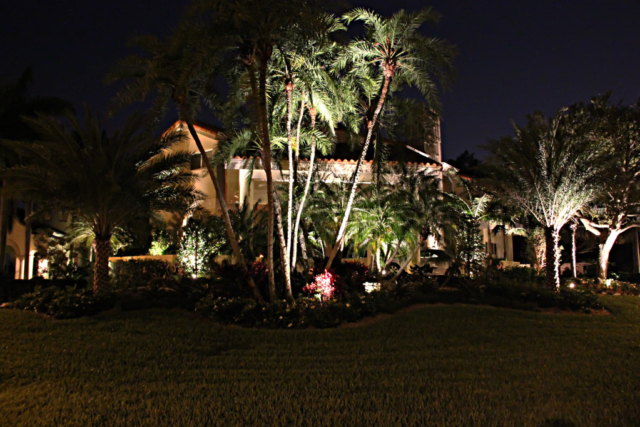 A creative system for landscape lighting in South Florida can completely alter your lawns aesthetic while providing an entirely new dynamic to any existing water features on the premises. When properly installed, your light will reflect off of the running water. As a result, your lawn will now impart a glass-like quality effect. Such a simple addition can concert your outdoor space in a sophisticated area that is ideal for hosting special events or intimate gatherings. 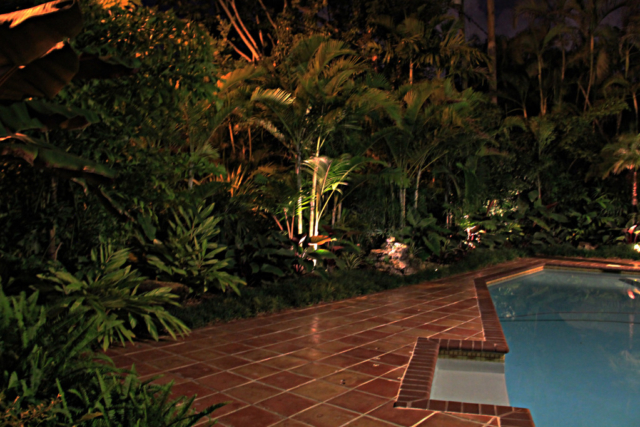 To find out more about a custom light fixture project, led lighting, or our water feature services, click here. 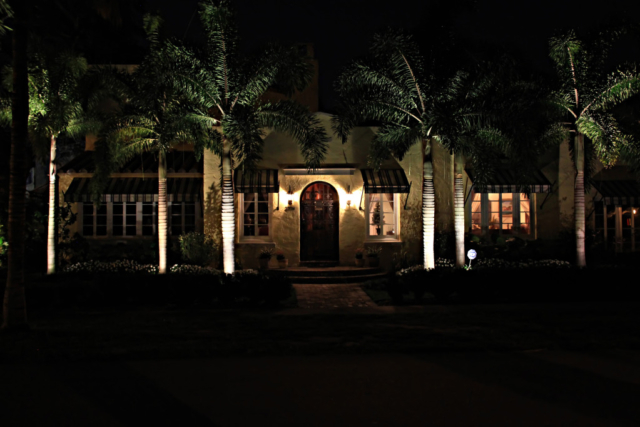 Aside from the improvements in visual appeal, a lighting system will also add security to your home or business. For homeowners, it is a good idea to install several illumination sources in both your front and back yards. As the sun sets, the risk of theft and home invasion increases, no matter where you live. To keep your family and loved ones safe, you could install some form of a lighting system to alleviate these concerns. For a business owner, it is additionally wise to maintain building visibility during all hours of the day. As a result, the chance of forced entry is greatly reduced. Running a business on its own is a massive investment of both time and money. It is important to protect this investment and our company wants to help you. 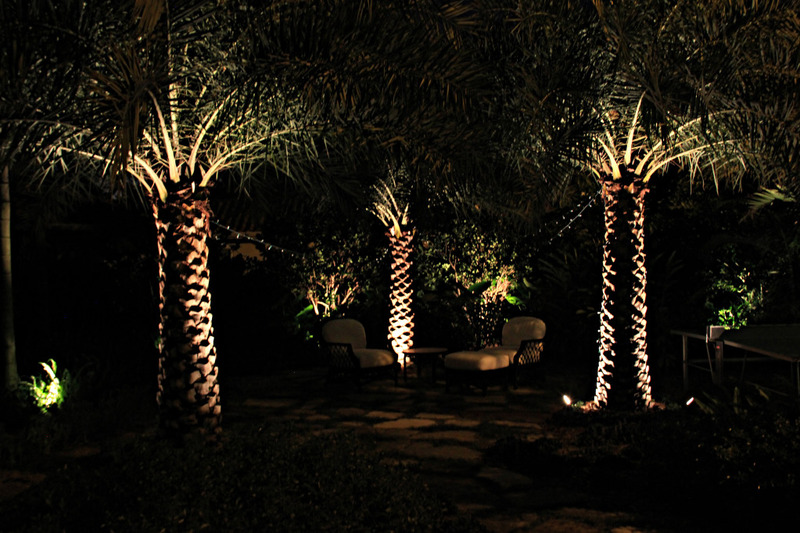 A custom designed lighting system from Landscaping by Steve Blaum wields design aspects specifically intended to highlight your landscape’s more dramatic aspects. 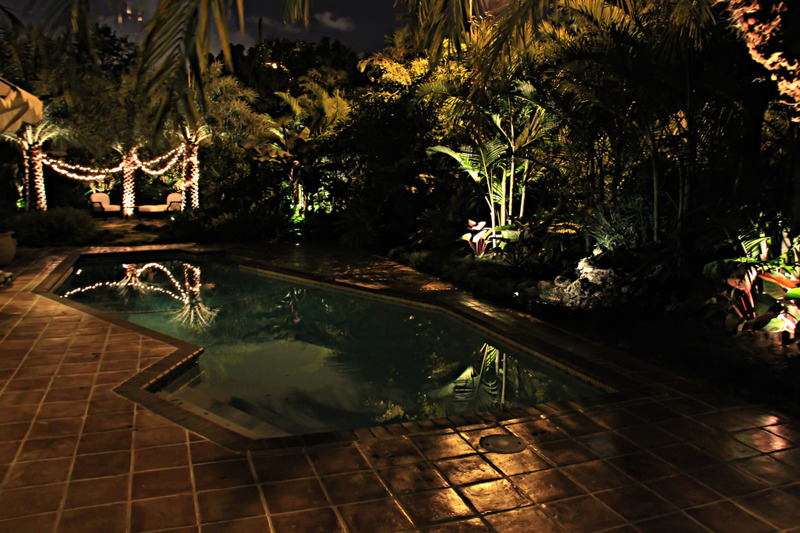 As night falls on your property, you can experience an entire other dimension of your land expanse. Your landscape may appear as striking in the dark as it does during the day. Appreciate your land while transforming the ways you interact with it under the cover of nightfall with landscape lighting services. Homeowners frequently see their landscape as a source of personal pride. Your yard may represent a nice expanse of greenery. Nonetheless, a nice landscape additionally provides a place to relax while you enjoy the best times with your family and friends. Landscaping by Steve Blaum can help you breathe new life to these spaces after the sun goes down with our professional landscape lighting services. We will provide your yard with a preeminent aesthetic day and night, as well as safety and increased usability regardless of the hour. You can possess a full lighting system as a new addition to your property. 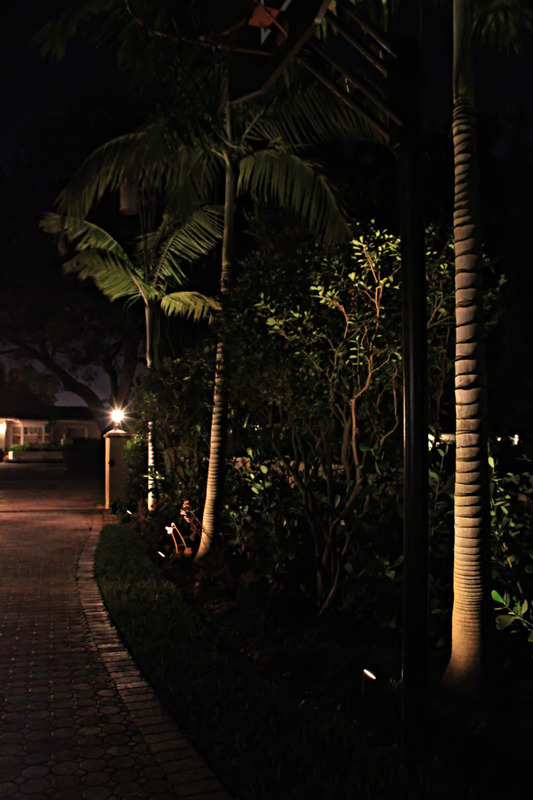 Contact Landscaping by Steve Blaum now at (305) 662-7045 or click here for more information on our Miami landscape lighting services. We provide customers with free estimates and make it easy to start on a new landscaping project right away. 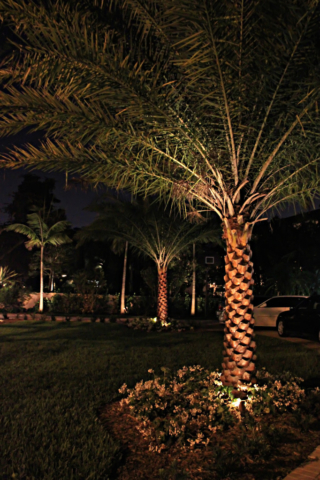 Landscaping by Steve Blaum utilizes the highest-quality lighting fixtures in each and every one of our installations. 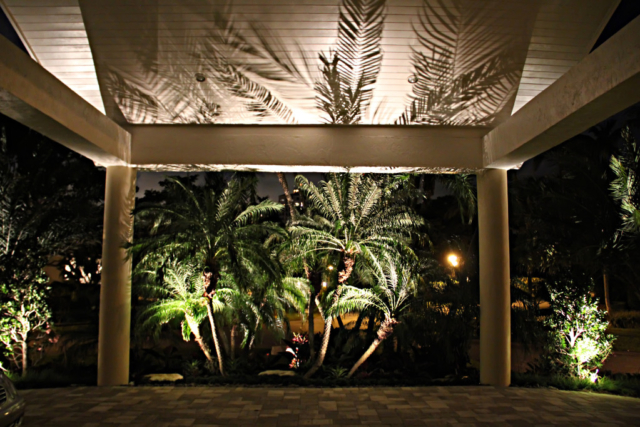 If we employ a fixture, you can rest assure that this can hold up against the often harsh Florida elements. Our team is not simply a landscape lighting company. We represent THE landscape lighting company in the South Florida area. 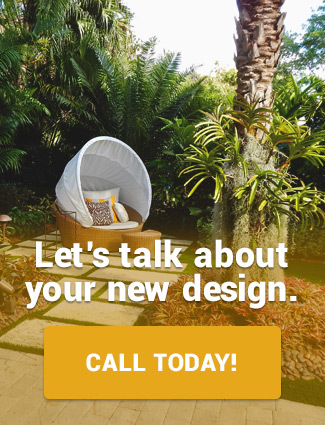 Our company wants to help you transform your home or business’ lawn into an elegant outdoor living space. 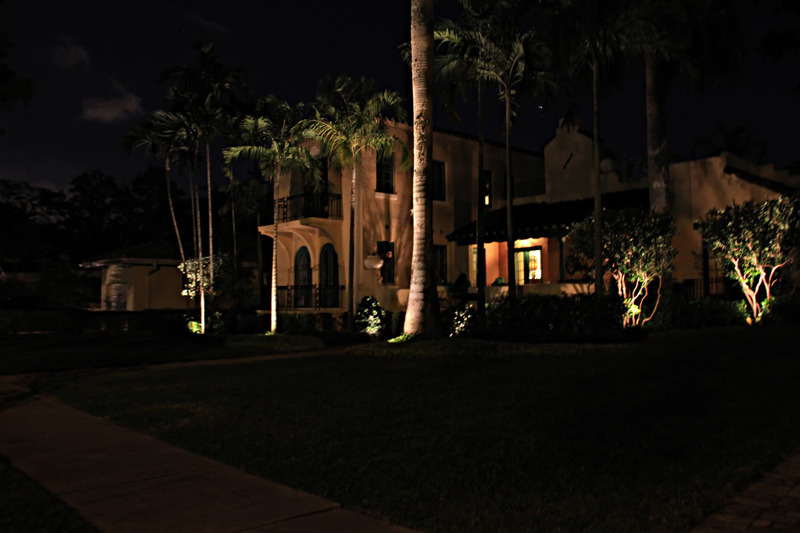 We accomplish the by providing services from architectural accented lighting, in addition to landscape lighting services, and more. Our focus is on providing you with custom services that we specifically tailor to your needs. With Landscaping by Steve Blaum, our customers always receive what they deserve. 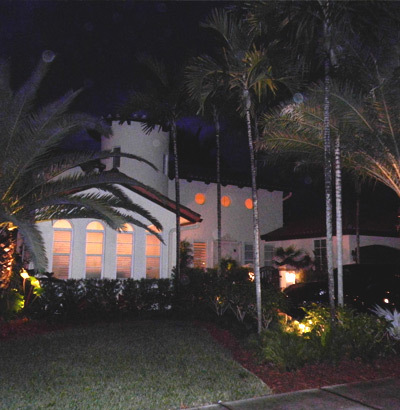 This includes landscape lighting in Miami, and throughout South Florida. We provide outdoor lighting services for residential and commercial properties throughout the South Florida area. No matter your lighting needs, we can handle the job. This includes repair, installation, and replacement services. 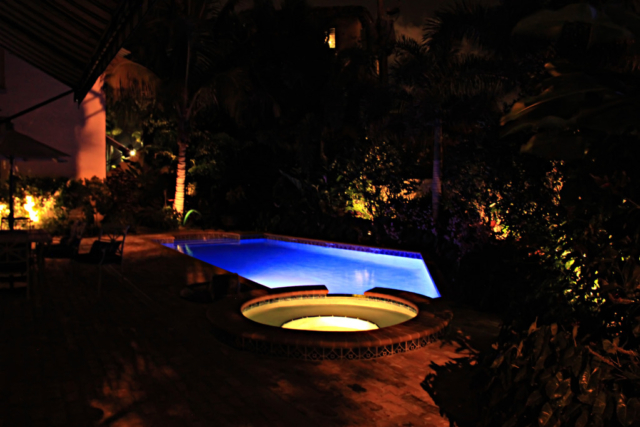 Our company wields extensive experience and knowledge concerning landscape lighting services. We arrive at your property in full uniform, and always ready to work. 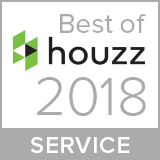 As a result, we possess a positive reputation throughout South Florida that fills us with pride. 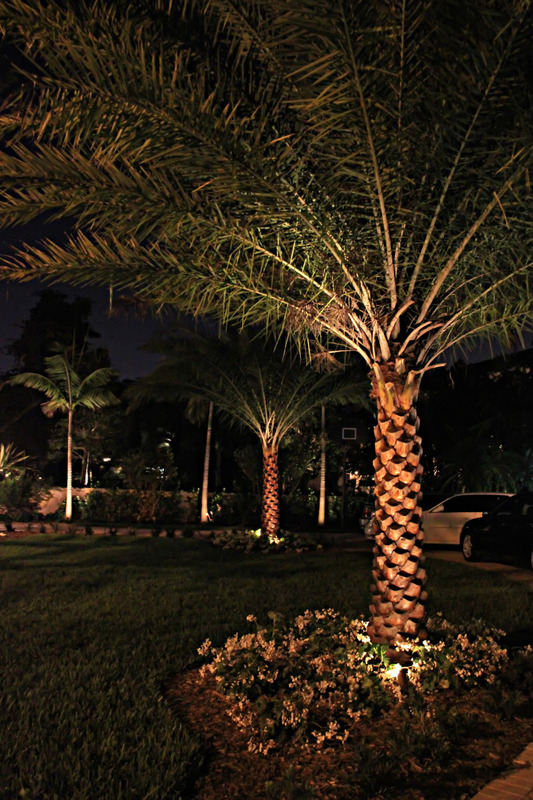 We earn the loyalty of our customers, performing the best services as a trusted provider of outdoor lighting and landscaping services in Florida for years. 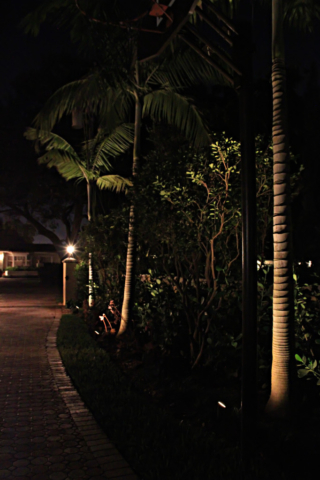 Once you install landscape lighting, you’ll wonder how you ever lived without it. 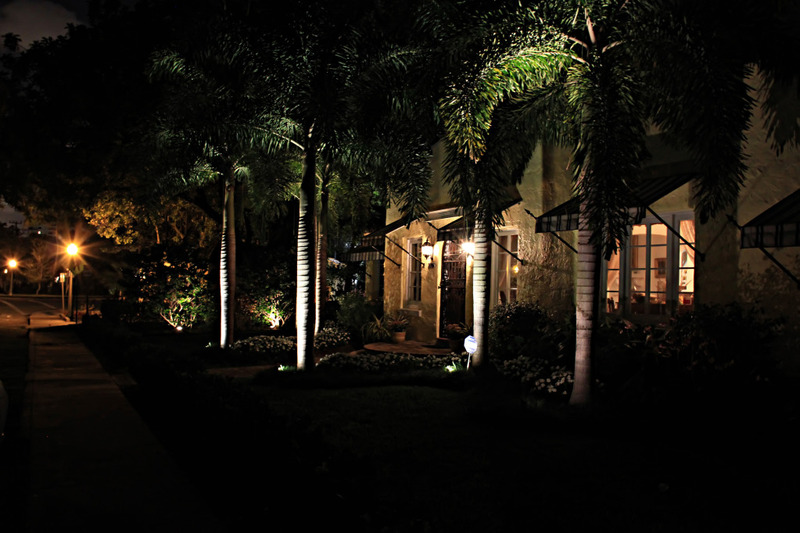 Simultaneously increase the security, safety, ambiance, beauty, and value of your home with landscape lighting services from Landscaping by Steve Blaum.